Married to Davy Murdoch, who owns and operates the F/V Jack Tar, a gillnet boat catching dogfish, skate and monk. Karen loves hitting the slopes with her spunky seven-year-old daughter. Married to Mark Liska, owner/operator of the F/V Sea Dancer and gillnet fisherman catching dogfish, skate and monk, and mother of a teen-aged daughter, Camille. Kate is a special education teacher at Monomoy High School. She grew up in L.A. and loves a fresh Moscow Mule. 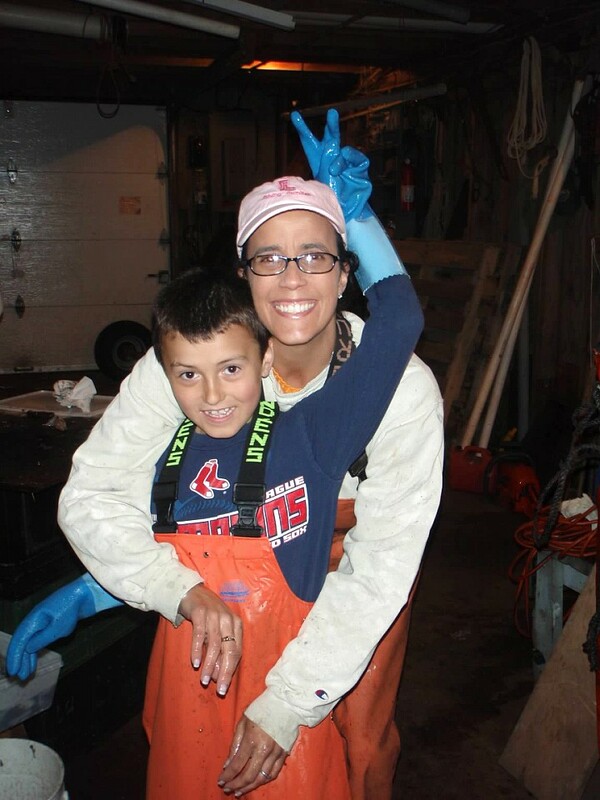 Married to Sam, a lobsterman who owns and operates the F/V Miss Madison, and mother of four: Max, a full-time gillnet crew member; Peter, who fishes in the summer when he’s not in school; Maddie, a nursing student, and Michael, Becki and Sam’s youngest. Becki is a chocolatier at the Chatham Candy Manor and backyard farmer, and she’s hiked the entire Appalachian Trail. Married to Mike, a shell fisherman and musician, and mother of two boys. 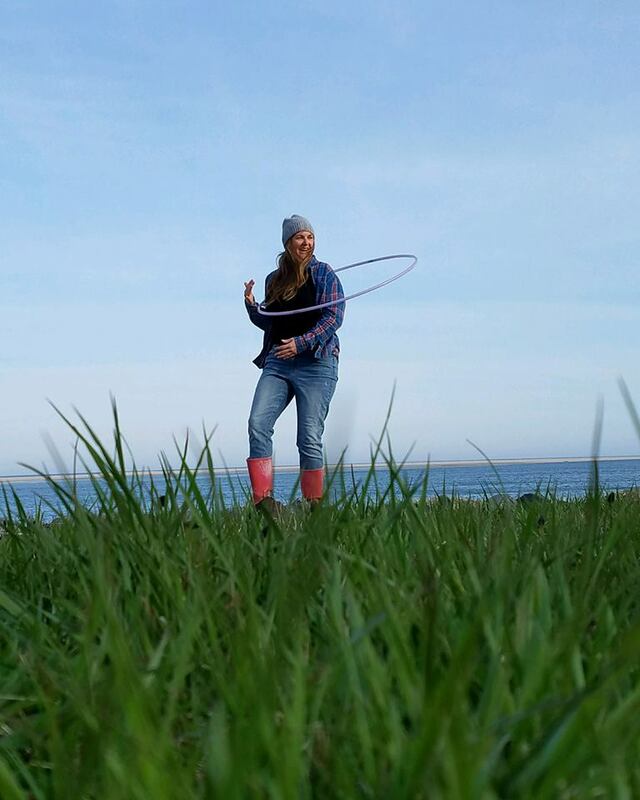 Rachel works fulltime as a Wellfleet FD firefighter/paramedic and is an artist (she created WOFF’s famous bullseye tuna for the Maritime Festival Harpoon Throw). Owns and operates her family’s business, George’s Place Fish Market, along with her husband Scott. Linda, who has four daughters and one grandchild, believes strongly in supporting local food producers and harvesters, and is an avid cook. 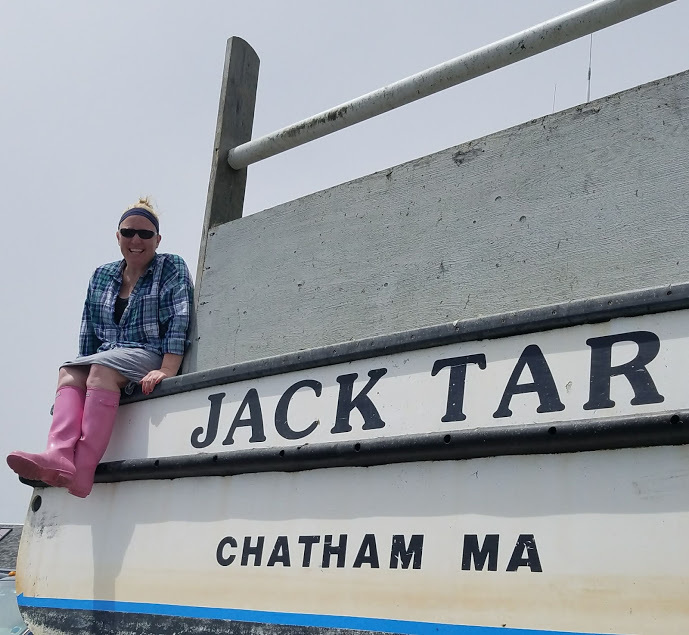 Owns and operates Chatham Fish Weirs along with her father, Ernie, and partner, Russell. Shannon, who began shellfishing at 18, also works for Fishing Partnership Support Services helping fishing families attain healthcare and safety-at-sea training. She is obsessed with hula hooping. Married to Billy, a year-round wild shellfish harvester and lifelong fisherman who has crewed on every type of vessel, and mother of a teenage daughter, Laura. Alison is the office manager at Stage Harbor Marine; she loves cooking and hates visors.